Love music? Like tinkering with hardware? 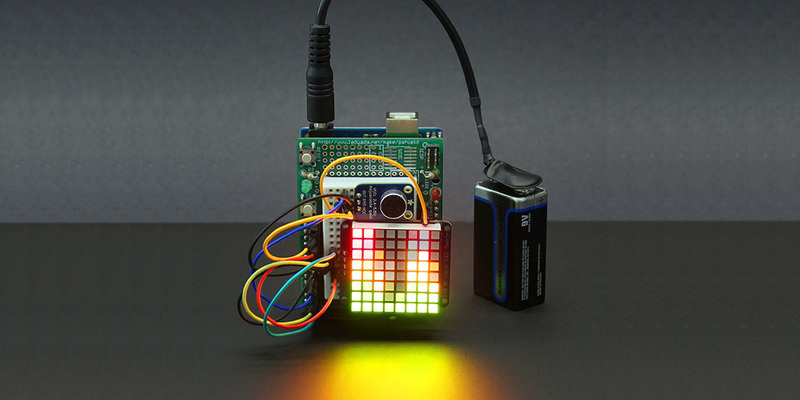 This nifty Arduino project combines both interests by taking you through the process of building a visualizer that reacts to any song playing in your surroundings. It’s a cool little gizmo to have on your desk to show off your mad DIY skills. Simply set it next to a speaker and watch the lights begin to dance in time to the beat. You’ll need an Arduino board, the project code base from GitHub, a microphone amplifier, an LED pixel matrix, and a couple of other parts to put this together. If you want to take things a step further and create a pocket-sized version, you can follow Adafruit’s advanced instructions to build one that’s only a little larger than a 9V battery. Read next: Want to work with us at The Next Web? We're looking for marketing interns!